Honestly, my cravings for chocolate run nonstop during the day. But I don’t need a lot of it to appease my desire. 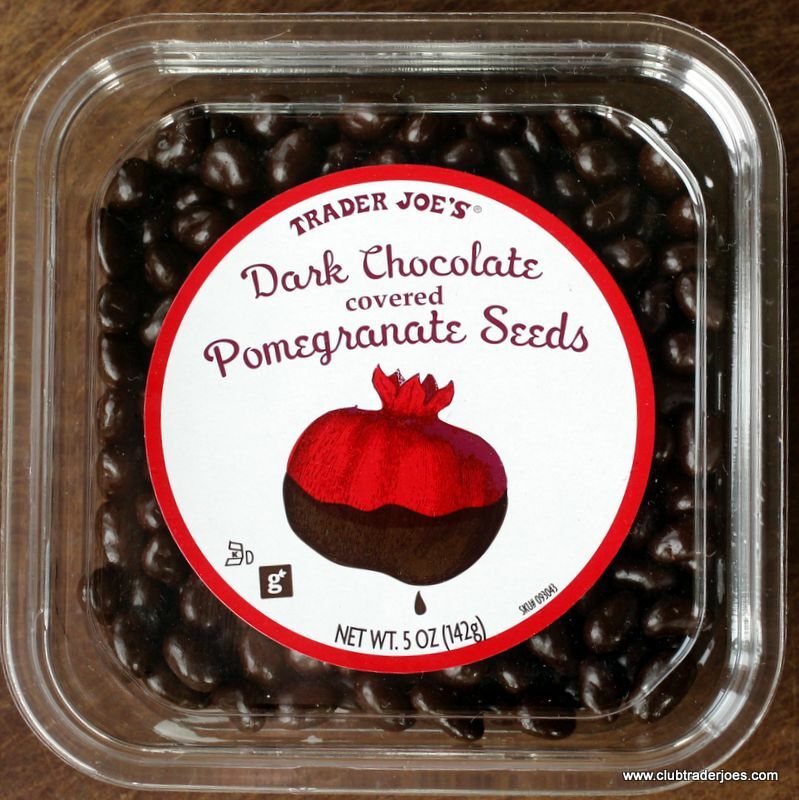 Last week I discovered Trader Joe’s Chocolate Covered Pomegranate Seeds, which are just small enough to possess none of the guilt, and chocolate-y enough to knock out all of the cravings. And they are pretty low cal too, for such a delicious treat. So next time you feel that need for a chocolate pick-me-up try these. They’ll do the trick, guaranteed. And, I don’t know about you, but I’m always looking for some extra antioxidants in my life… In NYC, they cost $2.99, a bargain for such yumminess! This entry was posted on Saturday, May 19th, 2012 at 1:13 pm and is filed under Chocolate Corner, Food.